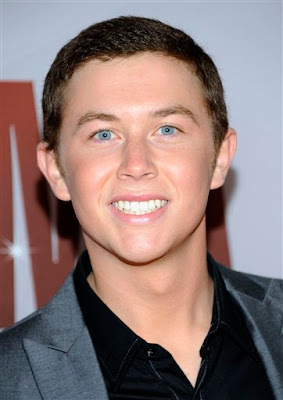 Scotty McCreery "The Trouble With Girls" Is 28 on the Country Charts. Scotty's TTWG Reached a new milestone this week, making it to #28 on the BB top Country songs. Two songs moved down the chart allowing TTWG to pass them up. With the holidays approaching Scotty's appearances are now down to a minimum, and I'm not aware of any radio promotion's taking place. Unless he does some call in interviews. I suspect after the holidays for single number 3 to be announced. TTWG has fared well, and Scotty has done an amazing job moving this song along. Personally, I'm hoping for an uptempo song next. Either way Scotty is still moving up the country charts, and with tour starting up in January, I hope he really enjoys his time off, he's going to need it in order to keep up with Brad Paisley's antics.